When times are hard and it feels like our world is caving in around us, it is easy to become discouraged and quit. We want to throw in the towel and just give up. However, we can't give in to discouragement and frustration. We need to roll up our sleeves and put a smile on our face. If we happily press forward, things will turn around. 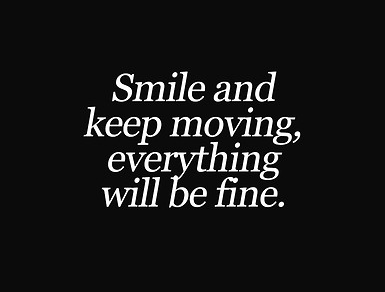 Everything will turn out fine. Don't beat yourself up over some small, or even large, event in your life. 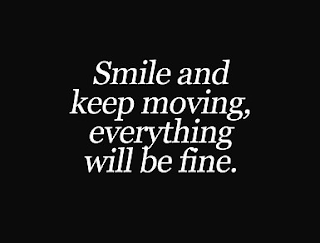 Just smile, keep moving and everything will be fine.